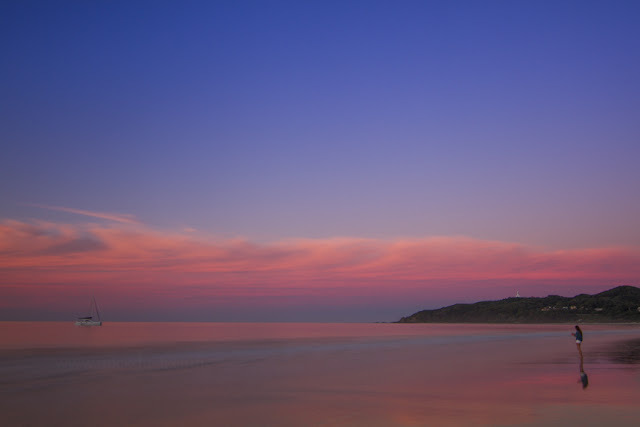 So you are going to be hitting the east coast of Australia and one must see location is Byron Bay. From its chequered past as a whaling station to its counter culture and beach lifestyle, Byron Bay is a must visit destination. Day 1 - Wake up and go for a short walk along Main Beach before heading to a cafe for coffee and delicious breakfast. Try Twisted Sister on Lawson St. Then grab your swim wear and head down to the beach with your towel and suncreeen. 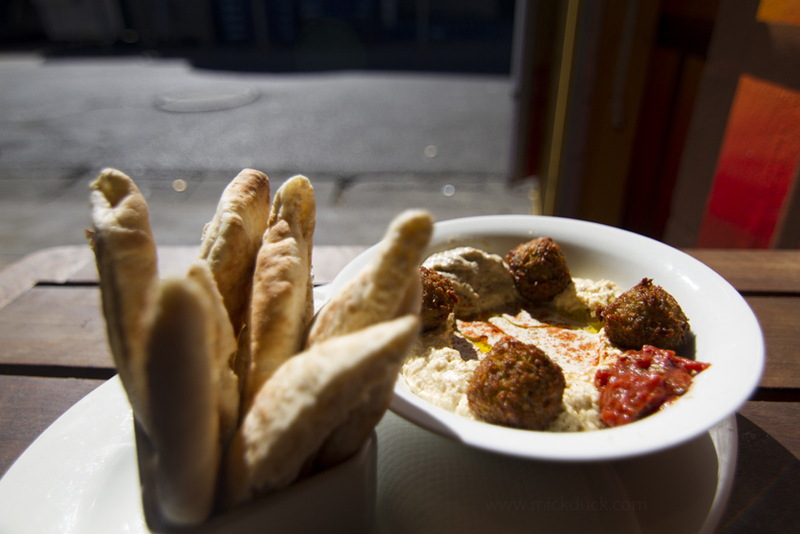 For lunch try a falafel pocket from Orgasmic on Bay Lane. 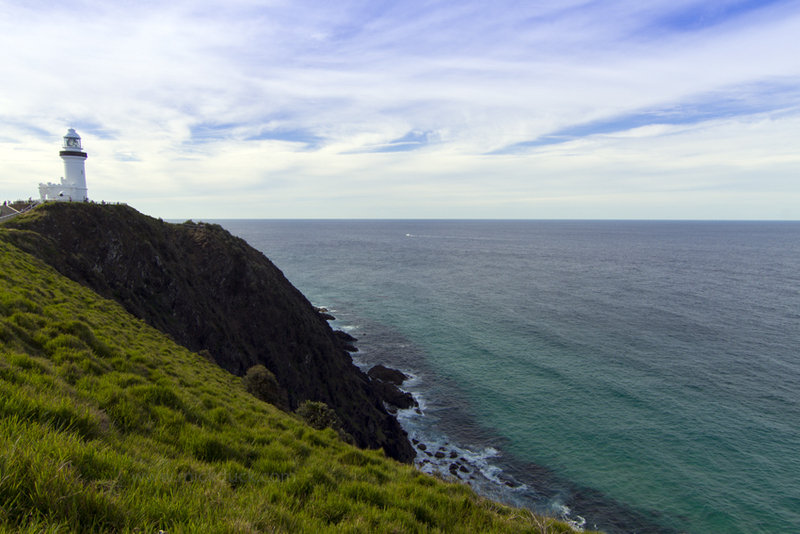 Walk up to the lighthouse to watch the sunset over the Byron Hinterland. For dinner head to St Elmo for bistro style food enjoyed with some local Australian wine. 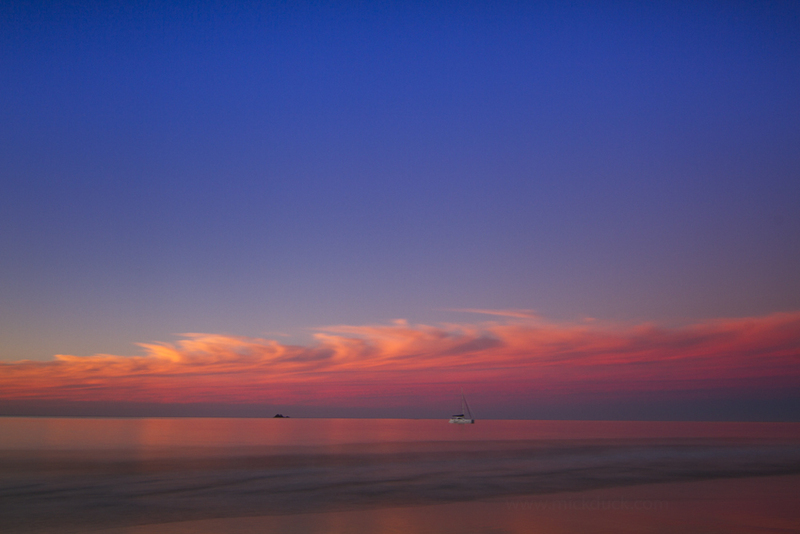 There are many ways that you can get yourself to Byron Bay. From buses to planes and hire cars. The most popular way to arrive is by flying in. There are two airport options that you can choose as Byron Bay doesn't have an airport. You can choose with Ballina (Byron Bay) Airport or Coolangatta (Gold Coast) airport. Either way you will have to catch a shuttle or hire a car with Ballina being about 30 minutes drive away and Coolangatta being about 1 hour drive away. Shuttle buses operate our of both airports with transfers directly to Byron Bay. I have always used Steve's Airport Shuttle from Ballina and Byron Bay Express from Gold Coast. Another option is to arrive by bus/coach. There are operators such as Greyhound and Premier Motor Service that come south from Gold Coast and Brisbane and north from Sydney. I would recommend flying into Ballina or Coolangatta airports and taking a shuttle or hiring a car. 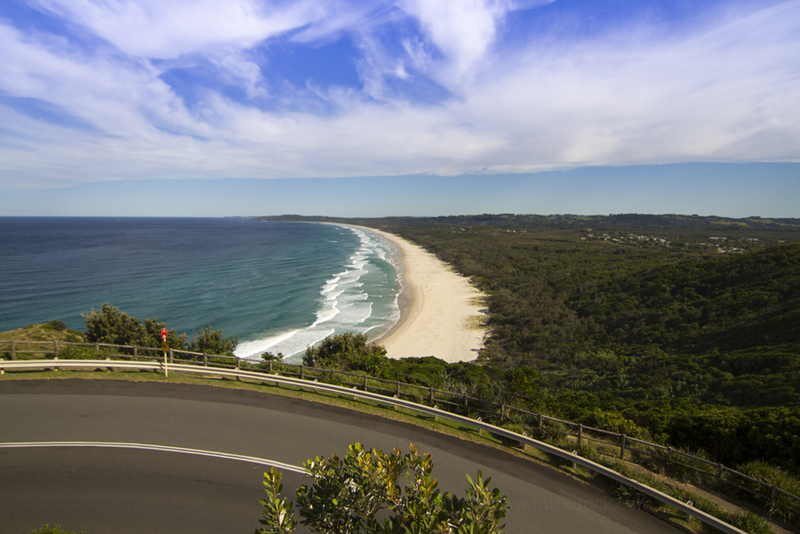 If you hire a car it gives you some flexibility to explore some of the open beaches and towns around Byron. I generally hire with Europcar from both Gold Coast and Ballina airports. Day 2 - Wake up early to experience the sunrise over the lighthouse and then gear up for your surf lessons. After your surf lessons a quick lunch of a meat pie from Byron Hot Bread on Johnson St. Spend a couple more hours at the beach working on those surfing skills or just soaking up some rays. 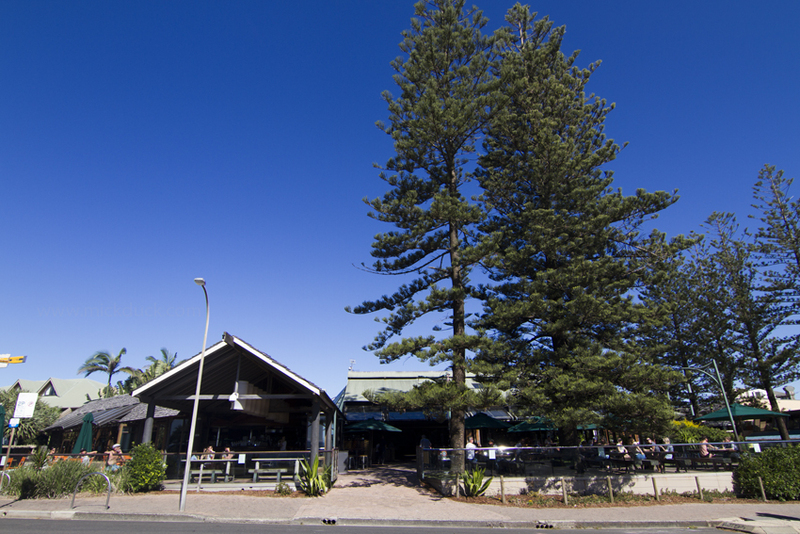 Head to the Beach Hotel to enjoy the last of the sun while enjoying a refreshing beverage in the beer garden. I recommend your try a beer from a local brewery Stone & Wood and their Pacific Ale is the perfect drink to match a pub meal. There are some many eating options in Byron Bay from cheap eats to organic food options to fancy restaurants there is something for everyone. One of my favourite things to do is to get food take away and head down to the beach to enjoy it. My favourite street to get food from is Bay Lane which is right behind the Beach Hotel and of Johnson St. Here you will find Fishmongers for fish & chips, Orgasmic for falafel and Mediterranean food and for delicious Italian food head to The Lazy Italian. There is also a must do stop at the Beach Hotel beer garden for a cool beverage with views to the beach and a great vibe. There are so many cafes, juice bars and fun restaurants like Miss Margarita's for Mexican food or you can head to St Elmo for a bit of a fancy dinner and killer cocktails. For the Vegans and Vegetarians there are so many options as well. There are not any high rise hotels in Byron Bay and that is how the locals want to keep it. There are plenty of options from hostels, hotels, caravan parks and apartments. From hostels like Nomads Hostel & Aquarius Backpackers, through to the many caravan parks. My favourite accommodation is Apartments Inn which is located on Fletcher St and walking distance to everything and one block from the beach. They have king rooms through to two bedroom apartments with full kitchen, living and dining areas. Another favourite of mine is The Byron at Byron, which is located a bit further out of town but an amazing property located in subtropical rainforest with direct access to the beach. Day 3 - Enjoy a quick breakfast before heading to your kayaking adventure and the chance to get up close and personal with dolphins and whales (in season). Check out Cape Byron Kayaks or Go Sea Kayak who are the best operators in town. Then drive out to The Farm for a real paddock to plate food experience. Don't forget to explore the farm and then cruise back into Byron to relax before dinner. There are so many options but one fun choice is Miss Margarita's on Johnson St for some Mexican fun or try Fishmongers for some seafood treats. There are plenty of activities to keep you busy and here are just a few that range from free to a few hundred dollars. Byron is all about he beaches and this gives you hours of free entertainment by just hanging at the beach. That is what us Australians do. 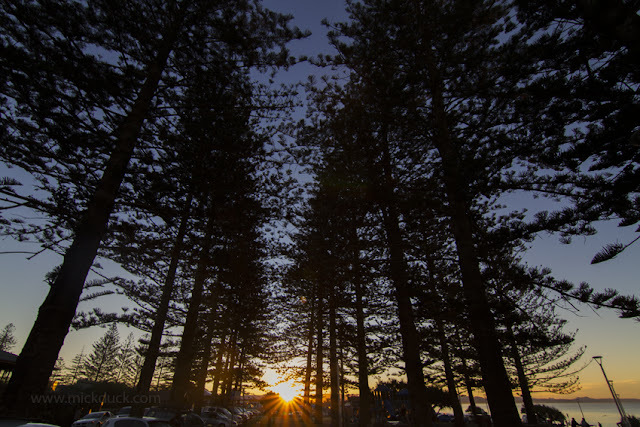 Spend time enjoying Main Beach, Tallows Beach, Wategos Beach and The Pass. Another free activity is the walk up to the lighthouse which I recommend that you try and do for either sunrise of sunset, but even in the middle of the day it is beautiful to go up there. You will visit the most eastern point of mainland Australia and you might even spot some dolphins and even whales. The whale season runs from around June to September. If you have time go out to Julian rocks to scuba dive or snorkel. The marine life out there is on the next level from friendly sharks to turtles this place will blow your mind. Being one of the best places to surf in Australia, surf lessons should be high on your list and well as kayaking where you will hopefully seeing dolphins and other marine life.